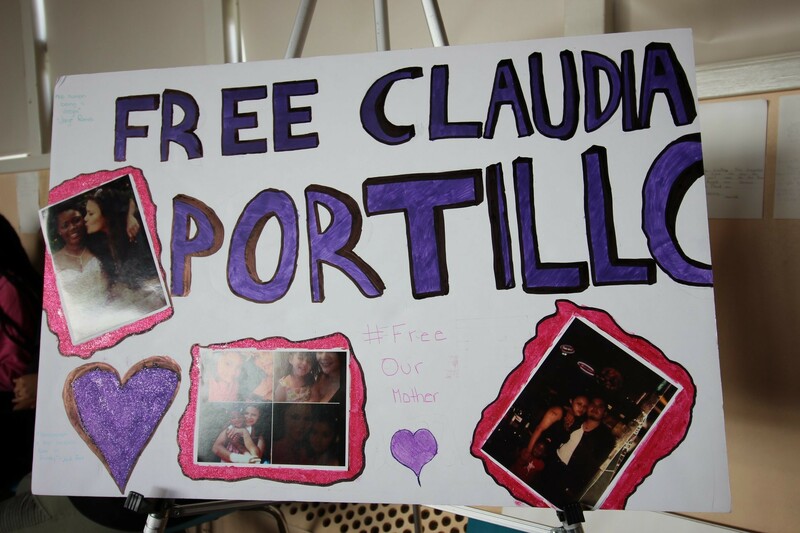 A sign supporting Claudia Portillo's release. Claudia Portillo is back with family. 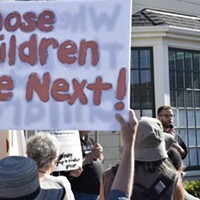 Seven months after the Arcata mother of four was detained during a routine immigration check-in in San Francisco, the 33 year old was released Tuesday after posting a $12,000 bond. Portillo had been held at federal detention center in Bakersfield where she was transferred in December, one month after taken into custody. She missed watching one of her daughters graduate from Arcata High School last week. 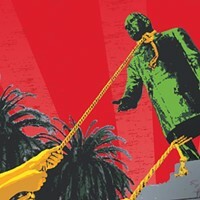 Brenda Urueta, a community organizer with the True North Organizing Network, said Portillo — who came to the United States from El Salvador when she was 7 — is currently staying with relatives in Southern California before traveling back to Humboldt County. A GoFundMe account set up to help Portillo and her family has raised nearly $9,000 in the last eight days. Find the account here. Urueta said Portillo will still have to check in with federal officials while her case continues moving through the court system, a process that can take years. Urueta said she believes the outpouring of community support shown during Portillo’s hearing Monday played an important role in Judge Patrick O’Brien’s decision to grant Portillo’s request to be released on bond. 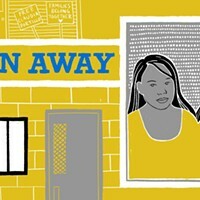 Among those who advocated for Portillo’s release were the True North Organizing Network, Arcata United Methodist Church, Catalyst Church, Humboldt Move to Amend, Centro Del Pueblo and Congressman Jared Huffman, who wrote a letter on her behalf. “We packed the courtroom with family, clergy and community members, and the judge made note of that,” Urueta told the Journal.